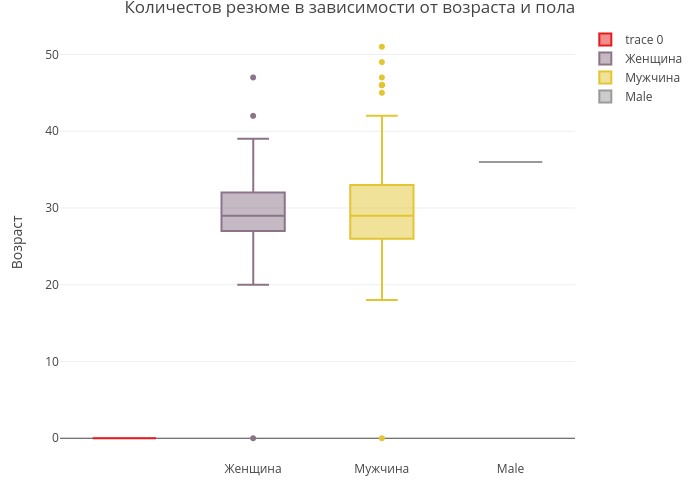 Dmitryi's interactive graph and data of "Количестов резюме в зависимости от возраста и пола" is a box plot, showing Женщина, Мужчина, Male; with in the x-axis and Возраст in the y-axis.. The x-axis shows values from 0 to 0. The y-axis shows values from 0 to 0.